Almost every Certified Nursing Assistant (Nursing Assistant Certified in Washington) will agree that the responsibilities of the job are physically and mentally challenging. In spite of the difficulties, these dedicated professionals press on because the personal rewards more than make up for them. Activities such as transferring disabled residents from the bed to a wheelchair and positioning overweight residents in their beds can take a toll with physical injuries and burnout. The emotional demands are just as intense. 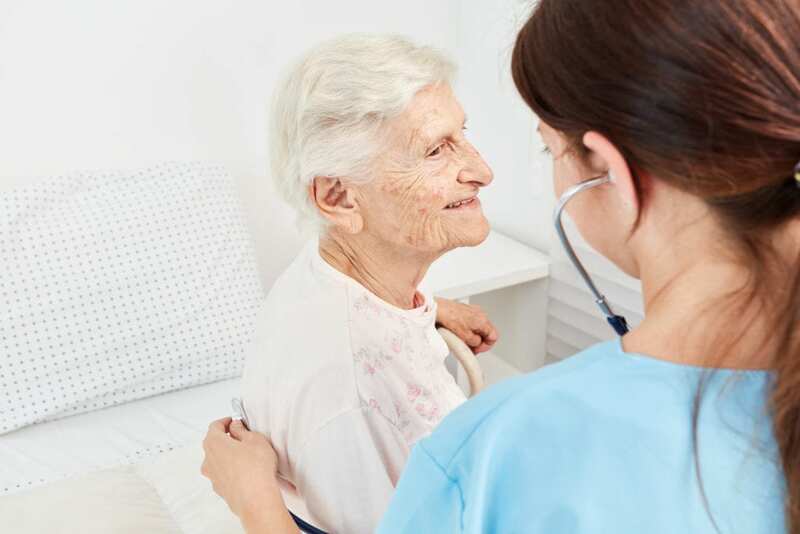 Since CNAs work intimately with residents in long-term care facilities, assisting them with bathing, eating, grooming, dressing, and toileting, they form close bonds with individuals who are very ill or near death. Being a witness to the pain and suffering followed by ultimate separation from someone they cared for can be emotionally burdensome. The upside is the emotional rewards of providing loving care and support to make the individual’s final days as enjoyable as possible or seeing a resident regain their health and independence after a long battle with disease. If you’re unfazed by the thought of handling bodily fluids, changing bed sheets after residents have made a mess, emptying bedpans, and other unpleasant conditions, and want to enter the healthcare industry, then you might consider a career as a Nursing Assistant Certified. The training is thorough but short-term. It is one of the shortest preparation for a healthcare profession and requires that you pass the State Evaluation to be added to the Washington State Registry. During the training and on the job, you’ll learn how to use innovative healthcare technology, and the nursing skills will be ones you can use for a lifetime – even if you decide to leave the field altogether. Many CNAs use their training and experience as a springboard for a career in nursing or other healthcare professions. Olympic College’s nursing assistant program prepares adults for entry-level employment in acute or long-term care where they will provide basic nursing care under the direction of a registered nurse. The College maintains small class sizes to promote the development of academic skills as students train an applied work setting. Core areas of emphasis are clinical observation and client care skills in a supervised environment. Required courses include Introduction to Nursing Assistant, Introduction to Nursing Assisting Lab, and Nursing Assistant Practicum. Students must complete 13 credits in the outlined sequence to move on to the next class. The classes should be completed in one quarter. All classes must be completed in one year to receive a Certificate of Completion. Students who have successfully completed the required theory and clinical training will be eligible to take the Sate Evaluation for Certification as a Nursing Assistant. They will be prepared to assist in the care of patients under the direction of a licensed nurse, follow ethical guidelines in decision-making, meet patients’ mental and psychosocial needs, demonstrate effective oral and written communication with the health care team and clients from culturally diverse backgrounds, and prevent the spread of microorganisms through proper infection control techniques. Tuition costs $107.59 per credit for residents. The cost does not include fees, textbooks, uniforms, and clinical supplies. Martha & Mary gives adults an exciting opportunity to become a Nursing Assistant Certified (NAC) through its state approved training. The course meets the training requirements for Washington nurse aides with through the classroom, skills lab, and clinical instruction. Students will learn the role and responsibility of the nurse aide, medical terminology, range of motion exercises, hospice care, personal care, nutrition and feeding, social services, infection control, rehabilitation techniques, communication and interpersonal relationships, body structure and function, mental health, patient rights and independence, ambulation, and laws and ethics. The training will also include the required 7 hours of HIV/AIDS certification. The program is cost effective and comprehensive to prepare students for success on the certification exam while keeping their training costs low. Graduates will provide patient-centered care as they demonstrate respect for patients comfort, need for companionship, dignity, and independence. The will be eligible to apply for the Washington State NAC exam. A schedule of classes for the next year will be available in the Fall. Applicants must meet the general requirements for admission to the high demand program. Use the contact information below for a current schedule and cost of the program. The Professional Medical Careers program at West Sound Tech gives students the opportunity to research and understand various traditional and nontraditional healthcare careers. It will also prepare them with entry-level skills to work as a CNA in long-term care facilities, nursing homes, clinics, hospitals, and patients’ homes. Course content includes human body structure and function, safe and efficient practice, legal and ethical responsibilities, interpersonal skills, basic nursing skills, medical terminology, and CPR at the healthcare provider level. Other essential courses include HIV/AIDS training, mental health and social service needs, care for the cognitively impaired, basic restorative services, and end of life care. Upon completion of the classroom requirements, students will participate in a clinical rotation to help with their transition into a skilled health care setting. Students will be required to participate in 50 hours of supervised patient care experiences in a skilled nursing facility. Students must adhere to the attendance policy to graduate from the program. The school will provide the required textbook for the program. Students must cover the costs for a watch with a second hand, notebook and writing instruments, USB stick drive, binder, medical scrubs, and a trifold display board. Pierce College’s Nursing Assistant Certified program provides the skills and academics adults need for Washington State Certification as a NAC. The 12-credit program includes classroom lectures in basic nursing skills and practical experiences in the lab and clinical site to give students confidence during the state evaluation and on the job. Students will have the skills to care for residents in long-term care and offer assistance with personal care. Classroom lectures will cover mental health and social services, personal care skills, alternatives to restraints, communication and interpersonal skills, body structure and function, cultural diversity, catheter care, basic restorative services, infection control, resident rights, law and ethics, safety and emergency procedures, and cognitive care. Class times are 8:00 am to 3:00 pm four days a week for the first 5 weeks. After that, the clinical hours will be 7:00 am to 3:00 pm for the last 4 weeks of the program. Students must make arrangements to arrive at the clinical sites on time. Open labs are available in the evening for students to review their clinical skills. Pierce College limits the class size to 10 students to ensure personalized instruction. Life Care Center of Puyallup offers free CNA training to adults interested in a career in healthcare. The class consists of 183 hours of instruction – 57 hours of class time, 70 hours of skills lab, and 56 hours of supervised patient care experiences in a long-term care facility. The duration of the program is 6.5 weeks plus 7 days of clinicals. Life Care admits new students every other month. The training includes classroom tuition, textbook, clinical exam, CPR certification, and CNA exam preparation. Students must pay $65 for NAR on the second day of class, $65 NAC fee, and $110 for the state exam. Other expenses for shoes and uniform must be covered by the student.